Meteor-M N2 is a Russian polar orbiting weather satellite launched on July 8, 2014. Its main missions are weather forecasting, climate change monitoring and sea monitoring. Meteor-M N2 transmits a Low Resolution Picture Transmission (LRPT) signal which broadcasts live weather satellite images, similar to the APT images produced by the NOAA satellites. 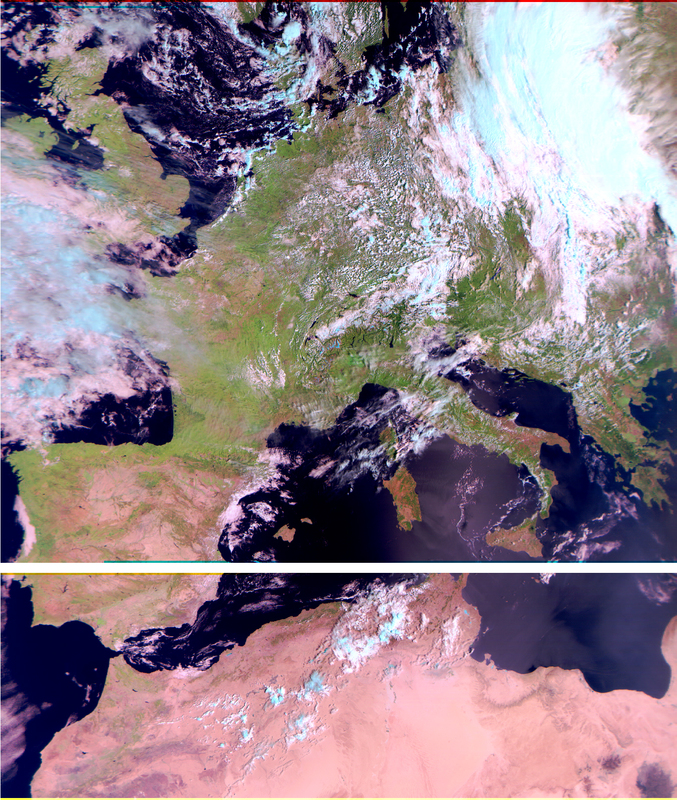 LRPT images are broadcast as a digital signal with an image resolution 12 times greater than analog NOAA APT signals. This stick does not come with SDR software or instructions. 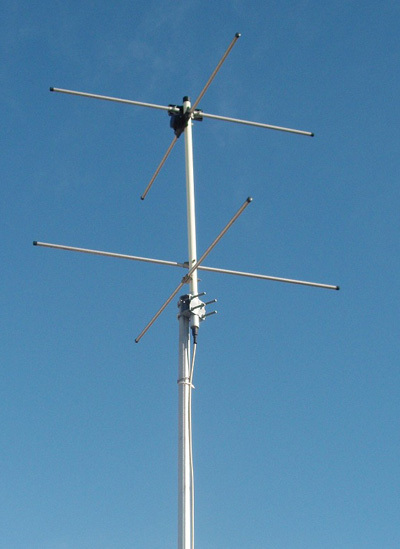 An axial-mode turnstile antenna for 136-137 MHz LEO weather satellites comprising a single turnstile crossed dipole above a passive set of dipoles serving as a reflector. 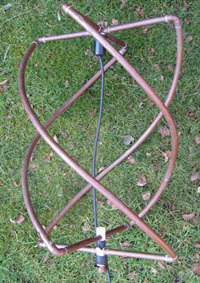 "SatelliteAntenna-137MHz" by Copyright (C) 2007 K. Krallis, SV1XV - Own work. Licensed under Attribution via Commons. How to Receive Meteor Images & Software required. 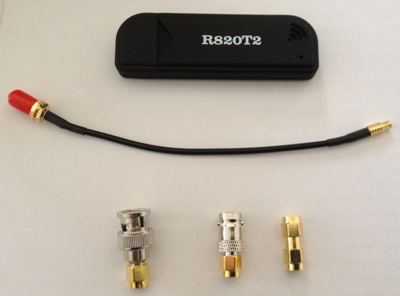 Includes details and links to required software. Enrico Gobbetti IW2AGJ August 24, 2014 09.05 GMT 662 Orbit.